Neuroimaging and Electrophysiology Facility (NIEF) reached a partnership agreement with the microscope manufacturing company Nikon Instruments to establish a Nikon Center of Excellence (NCoE) at the UPR Molecular Sciences Research Center. The establishment of an NCoE will help in our efforts of promoting the advance of biomedical research through the access of high-end microscopy technology. 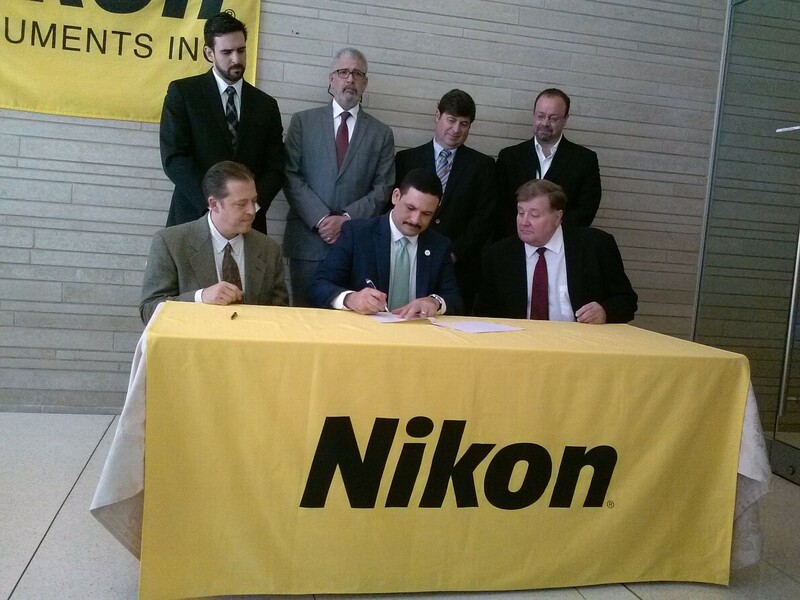 As part of this agreement, NIEF acquired two cutting-edge microscopes (a laser scanning confocal microscope and a multiphoton microscope) and provides in conjunction with Nikon staff intensive hands-on training in the acquisition and analysis of fluorescence microscopy images. The Nikon Centers of Excellence (NCoE) are renewed as world-class research centers in fluorescence microscopy. There are only 21 NCoE centers around the world and NIEF holds the only one research center in the Caribbean and Central America.